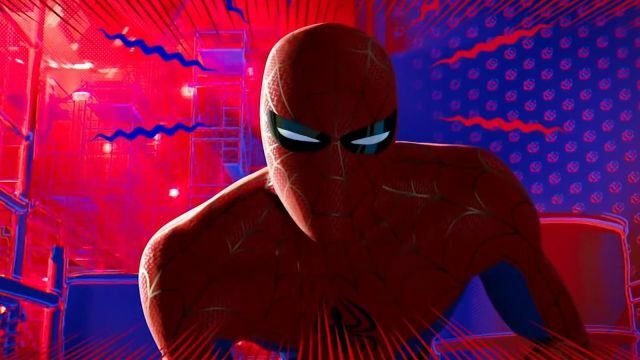 When Spider-Man: Into the Spider-Verse was released in theaters, it was easy an instant classic. You can find our original review for the film here, but it only gets better on repeat viewings. 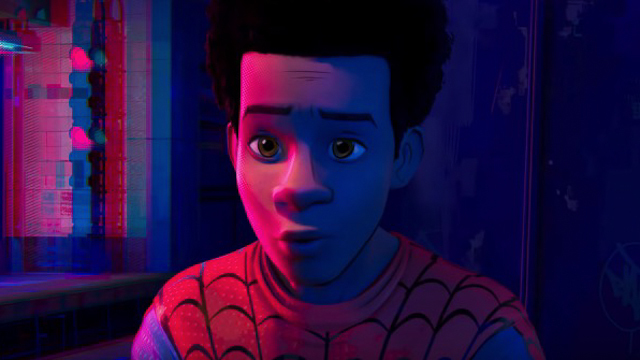 In the time since it’s release, Into the Spider-Verse has gone on to win the Academy Award for the best animated film of 2018. 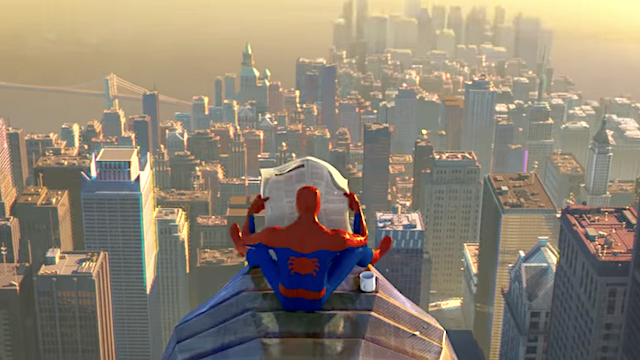 The film also managed to be easily the most impactful Spider-Man story to grace the silver screen. This film is noteworthy for it’s groundbreaking animation techniques alone. However, it will surely manage to inspire a whole new generation of Spider-Man fans as well. It’s possible to pick apart the smaller details of the plot. But the movie is so richly detailed that it’s easy to overlook the very few shortcomings of the story. 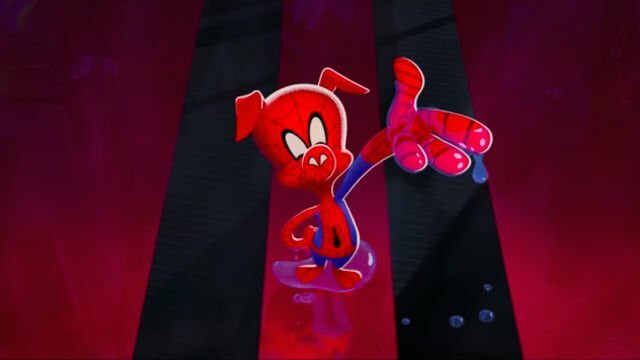 With that in mind, it’s safe to say that Spider-Man: Into the Spider-Verse ultimately is an undisputed masterpiece. This movie will define the power of comic book movies for the next decade. The 4K UHD disc for Spider-Man: Into the Spider-Verse is perhaps the most impressive Sony release in recent memory. Preserving the 2.39:1 aspect ratio of Into the Spider-Verse’s theatrical run, the film is presented using an HEVC / H.265 codec that upscales the video to 4K. The clear highlight here is not only the absolutely ridiculous color saturation, but also color separation in the image itself. Contrast is equally impressive, offering insanely deep blacks that help to further help to define this finely tuned transfer. The clarity is also awe-inspiring, especially considering the film’s deliberately consistent use of the Gaussian blur-type effect in the film. Overall, this transfer offers a supremely rich and detailed version of the film on home video. If there are any complaints, it’s that this 4K transfer is a 2160P upscale, as well as the overall lack of Dolby Vision. These missing elements could have easily pushed the presentation on this disc into one of Sony’s best-ever releases. However, the HDR10 offers a richly layered and detailed presentation of Into the Spider-Verse for audiences to enjoy. 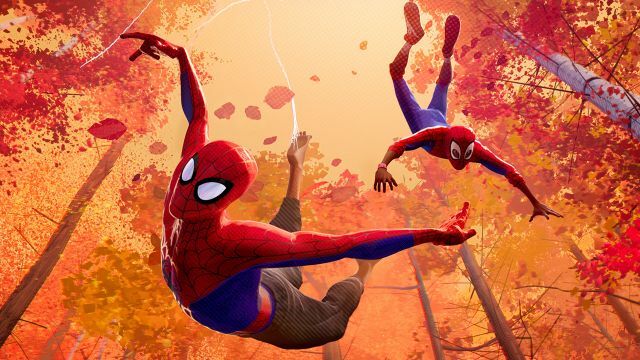 In terms of audio tracks, the 4K version of Spider-Man: Into the Spider-Verse contains both an Atmos Track and a Dolby TrueHD 7.1 mix. In addition, the disc also includes Dolby Digital 5.1 mines in French and Spanish. As great as the picture on the 4K disc is, the Atmos track is pretty much flawless. While the track is perhaps one of the most intricate mixes in recent memory, it’s also one of the loudest. The absolutely thundering mix is especially effective in the action sequences, where every sound effect is not heard, but felt. Despite the often overwhelming nature of the track (in a good way), dialogue is crisp with distinct channel separation throughout the bevvy of sounds that come your way. Simply put, this track goes beyond reference-quality and is easily the best part of an already outstanding release from Sony Pictures Home Entertainment. Aside from the director’s commentary and the Spider-Ham short, all of the special features are on the standard Blu-Ray disc. Regardless, the special features for Into the Spider-Verse don’t disappoint – for the most part. If there’s one nitpick, it’s that there should have been some sort of documentary on the making of the film from start to finish, as these great featurettes only scratch the surface of the groundbreaking film. However, beggars can’t be choosers in this case, and there’s more than enough here to please. As you might have guessed, this 4K UHD disc of Spider-Man: Into the Spider-Verse is the must-own home video release of the year to date. Not only is the film itself essential viewing, it’s also one of the most important comic book movies of the decade. While the movie certainly breaks new boundaries in multiple respects, this 4K UHD release of the film also manages to provide a top-notch experience all around.